Editor Note: The Two Gay Geeks had the enormous pleasure of attending a viewing party at the Arizona Opera Center for the Live Stream workshop performance of Copper Queen by Clint Borzoni and John De Los Santos presented at the Opera America Center in New York City. Below we have specific information about the opera and our thoughts on the performance. Arizona Opera’s website states: As the first piece to be selected and commissioned by Arizona Opera’s SPARK Commissioning Club in 2014, The Copper Queen holds an important role in this company’s history. This opera, composed by Clint Borzoni with a libretto by John de los Santos, tells the story of the haunted Copper Queen Hotel in Bisbee, Arizona, and its ghostly inhabitants, the most notorious of which was the prostitute Julia Lowell, who still haunts the grounds. 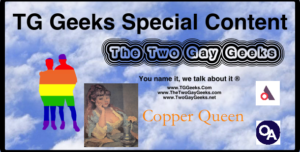 The Two Gay Geeks had the great pleasure of attending a workshop that was streamed from New York where we heard a new work that was commissioned by Arizona Opera, and that work is called The Copper Queen. 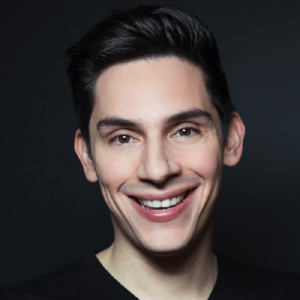 The music was written by Clint Borzoni with a libretto by John de los Santos, and came in to being when de los Santos learned of a competition being held by Arizona Opera in a search for new works to possibly perform. With little time on their hands, plus with de los Santos’ love of horror, they started working on an opera based on the true story of a prostitute who “worked” at The Copper Queen hotel in Bisbee, Arizona, which tells the tale of Julia Lowell, who in the early 20th Century committed suicide over unrequited love. 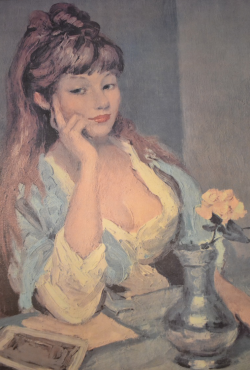 However, for the sake of the opera, de los Santos fleshed out the story with mostly original content and created something quite new and even relevant with the culture today in how women are being treated. It also helps that de los Santos managed to reserve the actual room (315) at the hotel in Bisbee where Julia allegedly haunts to this day. If you want to hear the details about what they experienced the night they stayed there, just listen to TG Geeks Episode #117 where we interviewed them about composing the opera and their “interesting” night in Bisbee. Also, in this episode we coined the phrases Southwestern Gothic and Cowtown Courtesan. To give the story a contemporary feel, the opera actually opens in 2010 and introduces us to a woman named Addison who is staying in Room 315 in the hopes of making contact with Julia. From there the narrative of the story shifts back and forth from 2010 to 1910 where we then see Julia, the life she is leading, and the men who connect with her through that lifestyle. Because this is a modern work, some of the music doesn’t exactly adhere to the romantic lyricism of Italian opera. What we heard today definitely introduced some clashing chords with an almost 12-tone music model. However, as the story progresses, the music goes through an evolution as well by bringing in some lush and beautiful melodic themes that have the resonance of almost any opera written by Puccini. And even with that there is the continuing return of the clashing chords and atonal lines sung by the singers, except it becomes clear that these disparate musical styles are there to emphasize and even heighten the drama that surrounds the life of Julia, from moments of beautiful romantic dancing, to later moments of physical abuse. What we heard today was merely a workshop, so there was a cast of 6 singers and a single pianist, which is far from what most opera going audiences hear with an orchestra in the pit of the house. Also, because this was presented almost as a recital, some of the drama was lost. All we had to go on was the music and the singing. Unfortunately, because it was being streamed the audio made it difficult to understand absolutely everything that was being sung, so some of de los Santos’ libretto became difficult to understand, making it tricky at times to follow the overall plot of the story. With the lack of good audio, along with no stage blocking to help drive the story, trying to follow this opera was at times challenging. This is in no way the fault of de los Santos’ libretto or Borzoni’s music. It was simply the manner in which it was presented, along with the audio limitations that were presented to us at the time. Nevertheless, the work we heard today was new and exciting! New operas have had a tendency to sometimes alienate the more casual operagoer, while possibly only having a sense of appeal to the serious devotee. Luckily that is not the case for The Copper Queen. 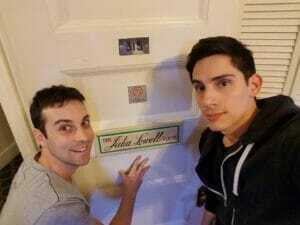 Just as Addison is going on a journey of discovery in trying to learn more about Julia Lowell, so does this work in the way the music helps to peel back the layers of mystique that historically surrounds Julia. As the music becomes more romantic and lush, so does our understanding of who Julia is, to when we finally see her as a tragic figure. The music and singing continues to build upon itself, creating a tension that is added layer upon layer throughout the opera, until a beautiful resolution actually does arrive that left me breathless and in tears. The Copper Queen is still in development, but hopefully now that this workshop is completed, and all of the constructive criticisms have come in, that the finishing touches will be put on this work and it will finally be premiered and see the plentiful performances that it so richly deserves. With Americana being a popular backdrop for new opera written in the US, and based on what we heard during today’s workshop, The Copper Queen has the potential of becoming a standout piece in American Opera Literature.